This is a group that was created just for the 2019 teen gamer. 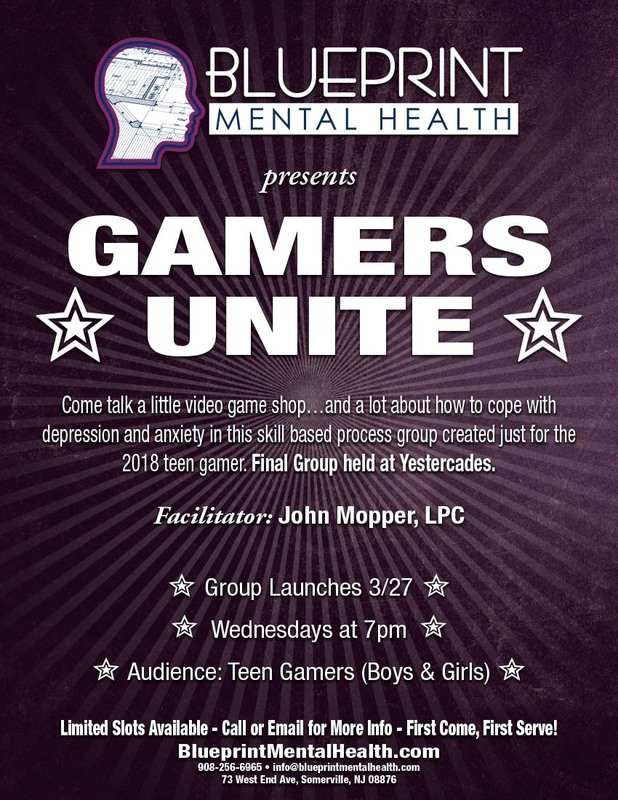 Come meet other people your age who are also into gaming, talk a little bit of video game shop and a lot about how to cope with depression and anxiety. We get why you like video games so much (John actually plays a little) but we also know that the real world can seem a lot harder than the video game world at times. This is a skill based process group, so you can talk about whatever is on your mind and we’ll help you find a way to work through it. Oh…and the final group is held at Yestercades! Email us at info@blueprintmentalhealth.com or fill out the contact sheet below for more info or to register.